She Writes Press, 9781631524455, 230pp. Running a clinic for seniors requires a lot more than simply providing medical care. 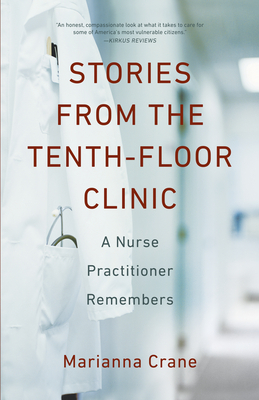 In Stories from the Tenth-Floor Clinic, Marianna Crane chases out scam artists and abusive adult children, plans a funeral, signs her own name to social security checks, and butts heads with her staff--two spirited older women who are more well-intentioned than professional--even as she deals with a difficult situation at home, where the tempestuous relationship with her own mother is deteriorating further than ever before. Eventually, however, Crane maneuvers her mother out of her household and into an apartment of her own--but only after a power struggle and no small amount of guilt--and she finally begins to learn from her older staff and her patients how to juggle traditional health care with unconventional actions to meet the complex needs of a frail and underserved elderly population.